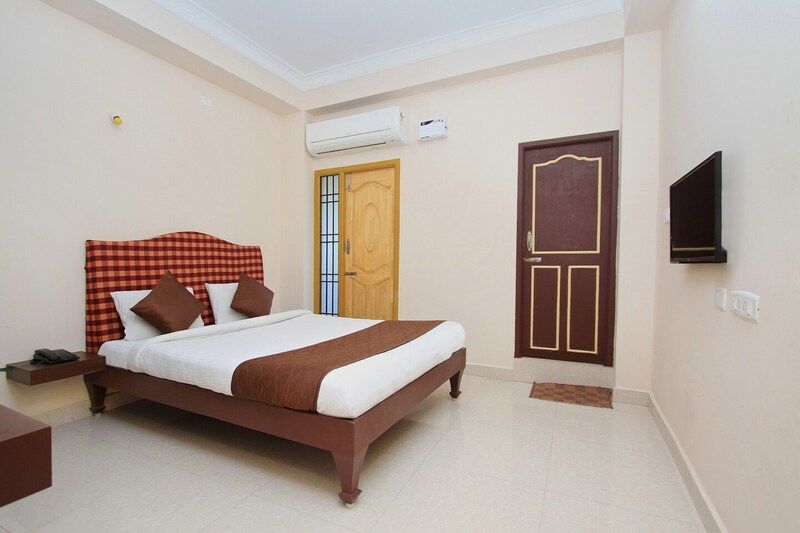 For travellers, this property in Santa Cruz West is an ideal hotel as it not only provides modern living arrangements but also puts guests in close proximity to some of the best attractions in Mumbai. The sober decor of the rooms feels soothing and takes one away from the bustle of the city. The bedrooms have been outfitted with amenities for a restful stay including a dressing area and small seating area ideal for tea/ coffee. Facilities at the hotel include parking space, laundry services, an elevator and free wifi access. The places of interest nearby are plenty including the ancient Mahakali Caves. For cricket fans, a visit to the Bat of Honour is a must which is a short drive from the hotel.